The landscape of post-earthquake Christchurch, New Zealand is changing rapidly. When there is change, there will be innovation. 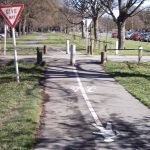 Cycling in Christchurch is like much of the rest of the world: the media features it frequently, people talk about it on the street, local councils promote it and the politicians discuss it at meetings. But this topic in Christchurch is particularly interesting as the city rebuilds itself after a devastating natural disaster. The social, environmental, health and urban benefits of cycling have been well researched internationally. However, our built environment is having a hard time adapting, delivering and maximising these benefits that have been outlined academically. The recovery work in Christchurch created a unique opportunity where, as designers, we could rethink how a city can function and fast-track some of these adaptations. I think urban cycling or utilitarian cycling, when designed right, can bring the most cost-effective benefits to a community among transport infrastructure options, and complement a city’s existing transport system. For example, cycleways are physically cheaper to build and maintain, they require less space, and they have higher capacity than roads for cars. While the cost, space and capacity arguments for cycling are great when compared to traditional roading, that is not why I’m motivated to work in the cycling space. I’m motivated by the ideas of connect, control and happiness. They are the distillation of decades of my riding for fitness, commute, errands and most importantly, for fun. These three ideas guided me through my post-graduate studies, years of professional work, and they stay true to this day. Connect refers to connections with your environment and the social aspect of human behaviour. Riding a bicycle in the city creates an environment where you are immersed within your surroundings through all your senses. You see the faces of people walking or riding bicycles, you feel the wind on your face and the potholes on the road, and you interact with the person next to you on your daily commute. Riding a bicycle gave me a sense of control of my life. The feeling of me physically controlling my destiny through a bicycle is a psychologically satisfying emotion that is difficult to experience in our unpredictable world. Also, there is something special about the simplistic mechanics required to achieve this feeling – just go for bike ride! Happiness is an underrated aspect of cycling. The smile of a kid who just learnt how to ride a bicycle says a thousand words; it is one of the purest expressions of “happiness”. Our increased responsibilities once grown-up mean that this sense of pure enjoyment is harder to come by. An academic colleague who is doing a PHD on happiness and cycling said that, “there is a mentality that commuting has to be miserable, and I’m doing it wrong if I’m having fun while doing it.” He went on to identify that the medical field argues that the inclusion of physical exercise within transit is one of the main reasons why the cycling transit environment is enjoyable. The writer Darrin Nordahl even published a book Making Transit Fun! in 2012 exploring some of these ideas. My three motivations all contain an element of looking after our mental health, which I think is important when discussing riding bicycles. Medical research has shown that for the first time in history, the current generation is able to make ourselves feel unwell despite good physical health. This can be the result of the lack of social and physical interaction with other human beings as a result of our digitally connected world. It’s relatively easy to provide physical cycling infrastructure. But how can we create better social capital through cycling in order to capitalise on the great benefits that are presented in academia? One way to start triggering these benefits is through bike-share, where the community is given easy access to bicycles throughout Christchurch. 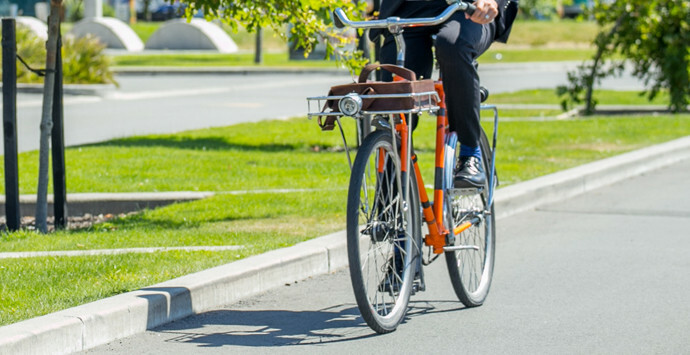 AECOM was the first corporate backer for the Christchurch BikeShare programme. I would like to thank the senior leadership in New Zealand for sharing the vision I have for the Christchurch community, and I hope our role continues to go beyond simply providing infrastructure, and contributes to the social wellbeing of the community around us. Now, how about a bike ride? Jack Jiang (jack.jiang at aecom.com) is an architecturally trained urban designer who specialises in cycling infrastructure. Beside his internationally recognised research work and daily architectural work, he works with the AECOM Transport team on active transport projects to bring a holistic approach to cycle network design. Outside of work, Jack initiated the community projects Lazy Sunday Cycle Christchurch and worked with the local council to deliver Back on Bikes Adult Cycle Safety Training.